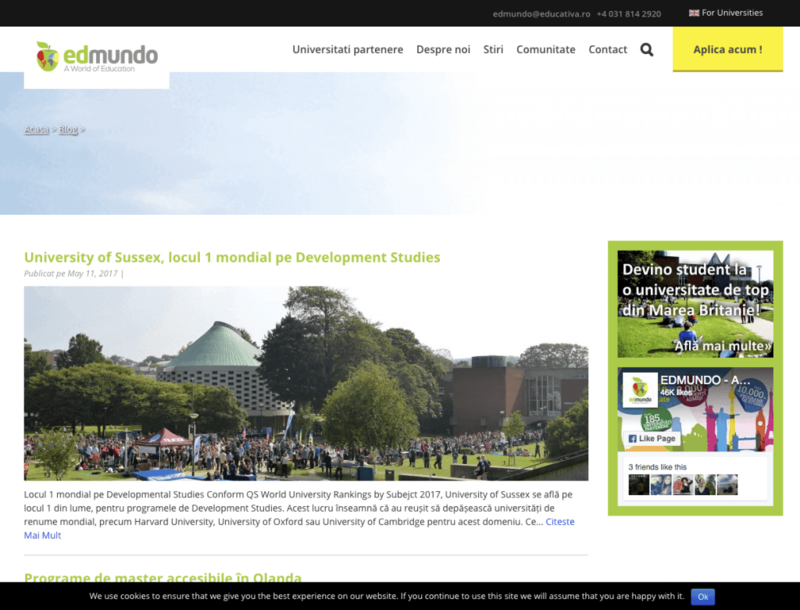 Complex, year-long project consisting in building an education portal. 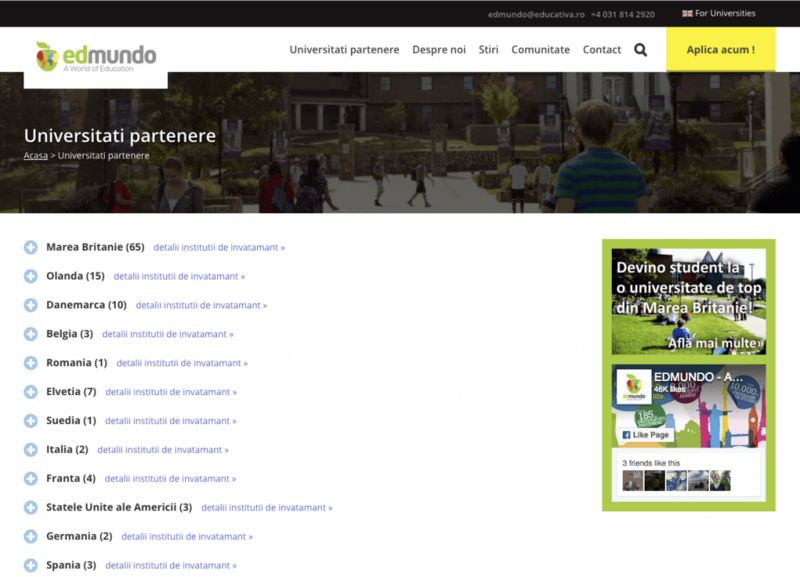 Help Edmundo.ro fulfill its mission to help Romanian students choose a university abroad. We were in charge of business analysis and specifications writing coupled with project and account management.